Leaf pool covers are designed to keep leaves and debris out of your pool. They can be extremely useful if you have large trees in your backyard, or the occasional dust storm blows through town. Leaf pool covers are custom made for each pool to the exact shape of your pool. They are anchored to your deck using flush mounted brass anchors which will never rust. 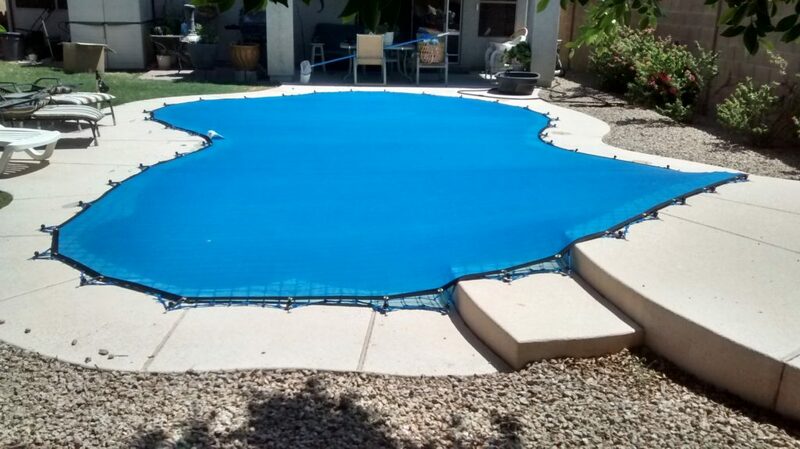 Leaf pool covers are extremely light weight, and the average leaf pool cover weighs approximately 10 to 15 pounds. It is a very affordable option saving you time and energy with cleaning your pool. The average leaf pool cover is $1500.